What is the Health Promotion Schools of Excellence Program? The Health Promotion Schools of Excellence (HPSE) Program uses the Whole School, Whole Community, Whole Child (WSCC) model from the Centers for Disease Control and Prevention (CDC) to promote healthy lifestyles among students, staff, and parents. Schools selected for the HPSE Program strive to improve health attitudes, skills, and behaviors for each of the ten components of WSCC. HPSE was first implemented in August 1992 with 15 JCPS schools participating. The program’s success has been recognized at both the state and local levels. For instance, HPSE was selected to receive the Models that Work Award from the Foundation for a Healthy Kentucky, and the program has since been replicated throughout the state. The program has also been replicated in Oklahoma through the Schools for a Healthy Lifestyle Program. 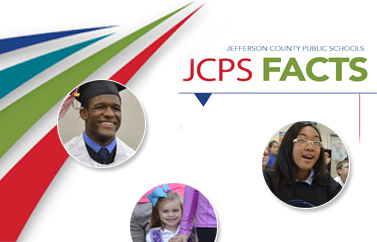 An HPSE Program specialist is assigned to each JCPS school that participates in the program. The specialists help schools implement the program by assisting with assessments and the coordination of community and district resources. Specialists also present health education programs and work with community partners to ensure schools are offered a range of programs that promote overall health and wellness for students and staff. How do schools apply to HPSE? Retain an on-site HPSE coordinator to spearhead the program. Implement policies, programs, and practices in each of the ten areas of WSCC. Maintain an HPSE committee that meets monthly and works with the school HPSE coordinator to implement the program. Call HPSE at (502) 485-3387.